After the devastating incident at Grenfell Tower, it’s come to light that a number of properties do not contain sufficient fire-safety systems to protect their inhabitants in the event of a fire. While the emphasis is on saving lives in a domestic setting, industrial and commercial property should not be overlooked. Fire safety in non-domestic premises is the responsibility of landlords, owners, employers, occupiers and site managers. If you hold one of these positions you are known as a “responsible person”, and must work together to ensure security of everyone on the premises. This includes any site with public access, any workplace, and any communal area of a multi-occupied residence. Any commercial building must contain an evacuation plan, demonstrating unobstructed escape routes and sufficient exits for the number of people exiting the building. Consider the steps required to assist those with limited mobility, such as the infirm, elderly, disabled and children – ensure staff or residents understand how they can evacuate these people in an emergency. The appropriate installations for properties will vary depending on construction and use. A review of installations for all buildings should be undertaken periodically, or when any changes are made to a building. At Tim Greenwood & Associates, we offer a range of property compliance surveys to help you ensure your building meets the property safety regulations. Following on from the Grenfell Tower fire, the RICS has set up a panel of industry professionals who have recently met and agreed their terms. The panel will review the comments and concerns made by industry professionals and report back to industry groups and the UK Government so the feedback and the recommendations that come from it are awaited. 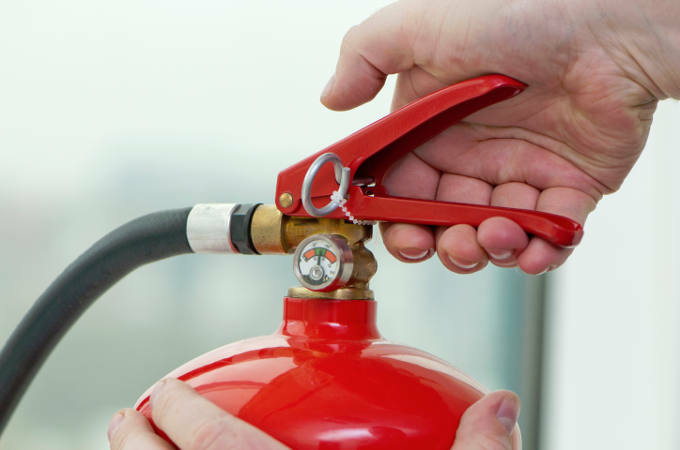 If you are found to have unmanaged fire risks on your property, you may be given an informal or formal notice to amend your safety procedures or make alterations to the observed risks; failing to do so may result in fines or a custodial sentence. For more information, visit the Government information page, or contact your local fire safety department.